This entry was posted in Book Release, Books, News, Patricia Lewin Book and tagged CIA, genetic engineering, suspense, thriller. Bookmark the permalink. 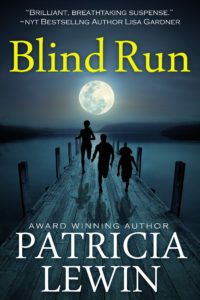 I have just finished Blind Run and found it riveting. I only downloaded it this morning, but once started I couldn’t put it down. Thank you. Thank you, Robyn. I’m so happy you enjoyed it.